Timeliness and information are key elements to a caring environment because waiting causes suffering, whether it is waiting for treatment or for information. Julian Schink, MD, is the Chief Medical Officer of Cancer Treatment Centers of America® (CTCA). In addition, Dr. Schink serves as Chief of Gynecologic Oncology for CTCA®, Medical Director of Gynecologic and Medical Oncology and Senior Vice President of Clinical Affairs for CTCA Chicago. He brings more than 25 years of oncology experience to CTCA, joining the national cancer care network in May 2017. 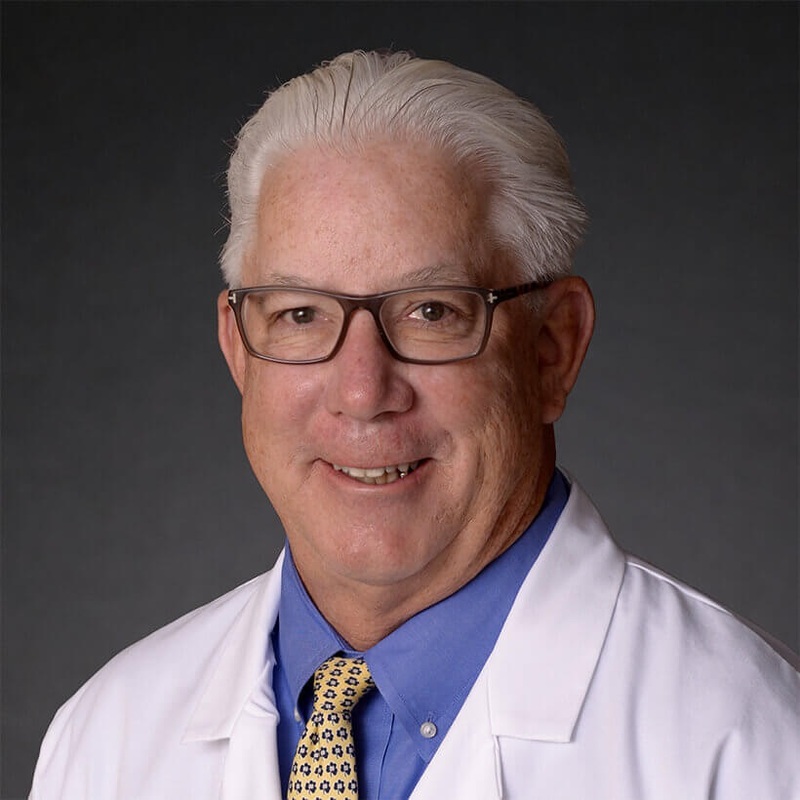 With more than 25 years of oncology experience, and board certified in gynecologic oncology, obstetrics and gynecology, Dr. Schink is dedicated to caring for patients and advancing the treatment of gynecologic malignancies. He provides surgery and chemotherapy treatments for patients with gynecologic cancers, including ovarian cancer, cervical cancer, uterine cancer and gestational trophoblastic neoplasia. Dr. Schink leads the national Gynecologic Oncology Program at CTCA, which focuses on high-quality, evidence-based medicine and personalized treatment options to meet the needs of each unique patient. Dr. Schink earned a medical degree from the University of Texas Health Science Center at San Antonio in San Antonio, Texas. Following medical school, he completed a four-year residency in obstetrics and gynecology at Northwestern University Medical School in Chicago, Illinois. Dr. Schink also completed a fellowship in gynecologic oncology at the University of California, Los Angeles Medical School in Los Angeles, California. He has held numerous academic positions, including vice chair of obstetrics and gynecology and professor at the University of Wisconsin Medical School; and, subsequently, an endowed professorship at Northwestern University Feinberg School of Medicine as the John and Ruth Brewer Chair in Gynecology and Cancer Research. Published in numerous medical journals and more than 125 publications dedicated to oncology and women's health, Dr. Schink has also authored more than 10 chapters in oncology textbooks, focusing much of his academic work on gestational trophoblastic disease. He served as principal investigator and co-investigator for many clinical trials responsible for improving and expanding cancer treatment options. Licensed by the States of Illinois, California, Wisconsin and Michigan, Dr. Schink has been a member of and held leadership positions at several medical organizations. These include the American College of Obstetricians & Gynecologists, the Society of Gynecologic Oncologists and the Gynecologic Cancer Foundation. Dr. Schink has also won several awards for his outstanding work, including listings on America’s Top Doctors, The Best Doctors in America and Chicago Super Doctors. In addition to his work, Dr. Schink is passionate about sail boating, and has participated in several competitive sailing events over the years. He enjoys spending time with his wife, Sharon. Together, they have four adult children, three grandchildren and two dogs.